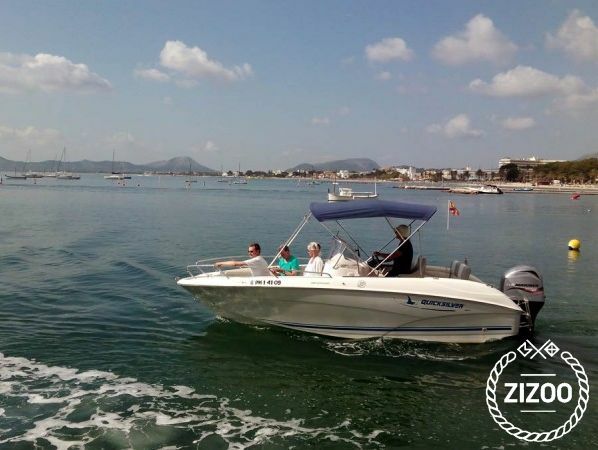 This Quicksilver Commander 600 combines functionality and agility with style and class, and it's the perfect boat to explore the Balearic Islands in Spain. This beautiful vessel boasts high-speed performance whilst never compromising on safety and stability. This 6m motor yacht stands out from similar boats thanks to the impressive amount of space available and the reclinable seats that turn into cosy chaise longues ideal for sunbathing.